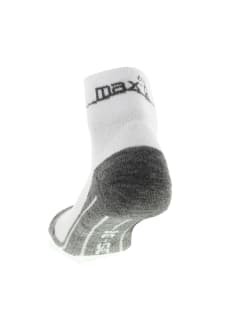 The Active Running Socks by max-Q.com provide perfect and comfortable fit through the use of highly functional materials preventing you from blistering and abrasions even during long runs. 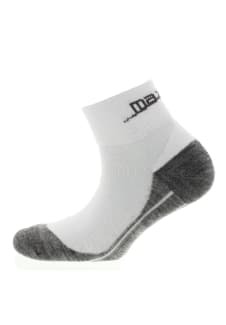 The four-component material guarantees maximum air circulation and the removal of moisture around the foot. The focus of the sock is its perfect fit and stability. This is ensured by an anatomical foot bed with a bandage and a comfortable waistband. Try it yourself!